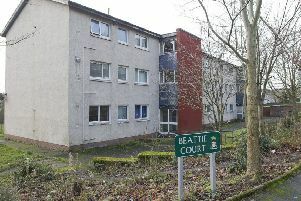 Police are appealing for witnesses to two van break-ins on two consecutive nights on the same Galashiels street. Some time between 7pm on Sunday night and 8.30am on Monday morning, a thief broke into a van belonging to joiner Ross Playfair on Torwoodlee Road, and stole seven nail guns, worth in total £3,000. Then on Monday, barely 24 hours later, on the same road at around 10.45pm, a second break-in to another van was disturbed by a neighbour walking their dogs, which chased the attempted robber as they made their escape. Police Scotland are tracing the suspect, and anyone with any information is urged to contact police on 101.